Premium quality dyed 20 lb. hemp twine. 100 gram ball. 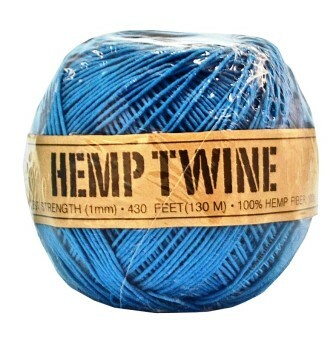 430 feet of sky blue hemp twine. Great for making jewelery or macrame crafts.